We have a passion for capturing great personal connections, the romance in life, and the personal love story. All these special things come through in our wedding photography. We’d love to tell your wedding love story. Glen Cove Mansion is located in Glen Cove, New York. This elegant, stately manor reveals its stunning presence as soon as wedding guests begin to arrive on the circle driveway with its tinkling fountain and immaculate shrubbery. Whether you are planning an extravagant ceremony or an intimate affair, Glen Cove Mansion can accommodate your every whim. The amenities, dedicated staff, and stylish features will not fail to impress. The Outdoor Ceremony Area: This facility provides a scenic setting for your unique wedding whatever motif you choose. The sprawling lawn framed by pruned hedges, lofty trees, vine-covered arches, and cascading fountain are just a few of the signature features. The Indoor Banquet Hall: This space features intimate round tables decorated with fresh linens, charming floral centerpieces, and elegant dinnerware. The room is lit by an extravagant crystal chandelier. This spacious room is a great choice for larger wedding parties. 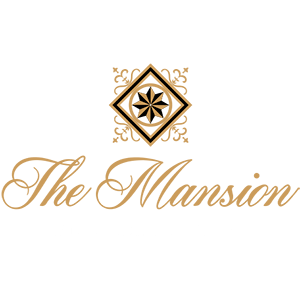 The Hotel Suites: Glen Cove Mansion has hotel suites available for all your guests. The rooms range from double and king-sized rooms to grand suites that include a comfortable sitting room, private bathroom with a soaking tub, dining table and a mini-fridge. The grand suites are also decadent options for a honeymoon suite after your special event is over. From the moment you arrive at this beautiful Georgian estate, you will fall in love with the serene atmosphere and bold architecture. It’s easy to see when so many brides and groom want to exchange their vows in this setting. The Mansion sits on 55 acres of manicured grounds. There are so many possibilities for your unique celebration both indoors and outdoors. The setting itself is designed to truly inspire. You will also have the benefits of our experienced wedding professionals who have the ability and creativity to make sure that your dream wedding becomes a reality. They will also guarantee that your event preparations happen seamlessly, so you have nothing to worry about and you can focus on your special day. Elegant or casual, grand or intimate, your wedding at Glen Cove Mansion will exceed your expectations. If you want to do something a little different, why not book the Glen Cove Mansion for a Cool Winter Wedding? The Mansion looks so enchanting when its decorated for the holidays, you and your guests can combine the festive ambiance with your special celebrations. We’d love to be part of your Glen Cove Mansion wedding. Why not call us today so we can arrange to meet. Let’s get to know each other by talking about your wedding plans and what style of photography you prefer. We can also show you our portfolio.